Does “planning a project” involve having random scraps of paper around your office? Does your head spin when you think of trying to organize your big projects? Are you tired of missing deadlines? Do you even know when your deadlines should be? I know that it can be tough to be both creative and systematic about your projects. If you’re feeling stuck, aimless, or overwhelmed, I’m here to help. I’m a professional project manager who will lay out your roadmap, step by step. You will know what stops you need to hit and when you need to hit them. You will be able to see your path and how each task will get you closer to your goal—that’s working with purpose. Don't waste your time stressing about those little tasks. Work with me to develop a plan so you can spend your time doing what you love: creating. With a project management package, I don't just plan your project. You and I partner throughout the life of your project to make sure you (and your team) stay focused, meet deadlines, and accomplish your goals. What is your timeline for completing your project? How did you hear about The Efficient/Creative? 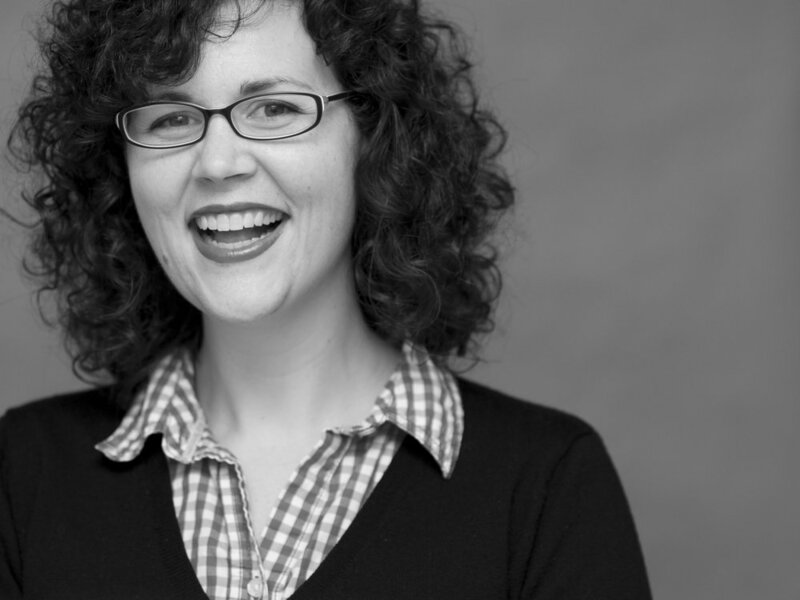 I’m Kate Hutcheson, an experienced project manager (with a serious creative streak). I’m taking my know-how from the corporate world into the realm of one-on-one project management consulting for creative women who have (or are just starting) their own businesses. Through my 10+ years of corporate experience as a trainer and project manager, I’ve learned the methods that help the teams I work with reach the finish line. Like a lot of project managers, I “fell into” the role because I was process-oriented and systematic about my work, but as I went through formal training, I really fell in love with a few methods that project managers use. Those are the methods I work with on a daily basis and the ones that will help you reach your goals, too. What kind of project is this for? Anything with a specific end goal can be a project. Do you have a product that you want to launch? A new marketing campaign? An event to plan? Do you want to revamp your website? If you're not sure if your idea qualifies as a project, then let's talk about it! Fill out my contact form and we'll set up a free, casual consultation where you can tell me your thoughts. I'll give you my honest, professional opinion about whether I think it's the sort of project where I can help. Does a project management session need to be done in person? I conduct most of my sessions online, with people from all over the world. However, if you happen to be in the Central Pennsylvania area and want to meet in person, that'd be super, too! What do I need to bring with me to a session? It can be helpful (though not necessary) to have a pen, a stack of sticky notes, and a blank table or wall area. Does a session have to be one on one? Would you be available to coach my team/employees? A session does not have to be one on one- I’m happy to work with your team/employees to help you all develop a great plan to complete any project. In fact, sometimes the best results come from coaching a group! A full project management session with me takes around 2 hours. There are a few things that can help the process go along, the most important of which is to have a clear end goal. And at the end of our session, you will have a clear path forward to reach your goal. Amazing! Why should I pay someone to organize a project? I know that if I just buckle down, I can do it myself. If you know exactly where you’re going, exactly what steps you need to take to get there, and exactly how long each of those steps will take, that’s awesome! This session may not be for you. If you’re not clear on those items, though, OR if you need a little hand-holding (or a gentle kick in the pants) to reach your goals, it is absolutely worth hiring a professional to get you there! Will I really be able to use the method you teach by myself on future projects? Yup. This method can work for any goal or any project. Of course, if you’d rather not go it alone in the future, I’m always available to help. Kate Hutcheson is a professional Project Manger who loves working with creative people to help them reach their professional goals.